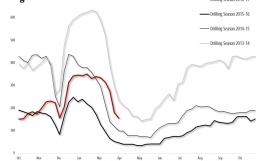 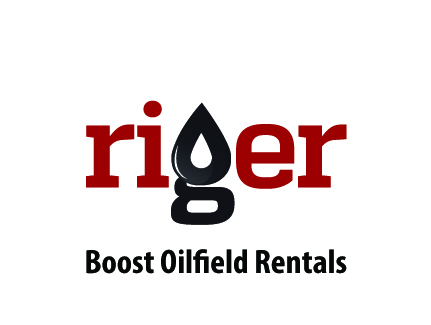 CALGARY, Alberta (July 17, 2015) – RigER presents Weekly Canadian Drilling Rigs Activity Report. 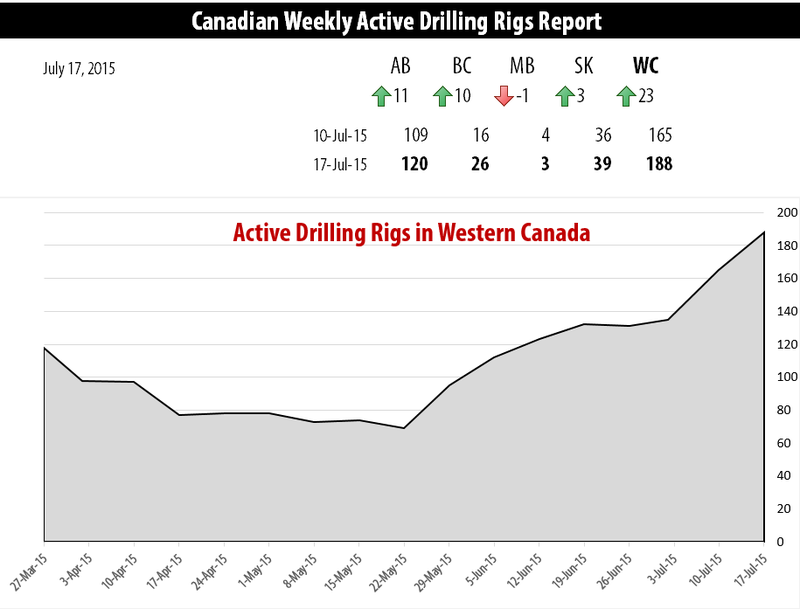 Canadian Rig Count is up 23 rigs from last week to 192, with oil rigs up 7 to 98, and gas rigs up 16 to 94. 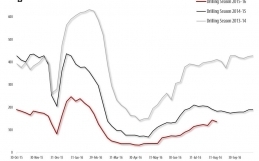 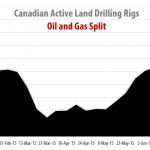 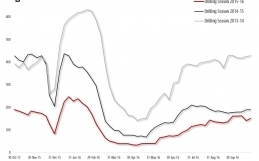 Canadian Rig Count is down 189 rigs from last year at 381, with oil rigs down 128, and gas rigs down 61. 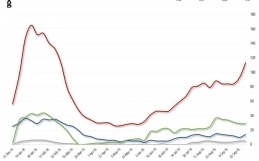 Oil / Gas split is 51% / 49%.